At the time of his retirement, Leo Durocher’s 2,009 career wins ranked 5th all time and 2nd in the NL history behind only John McGraw. 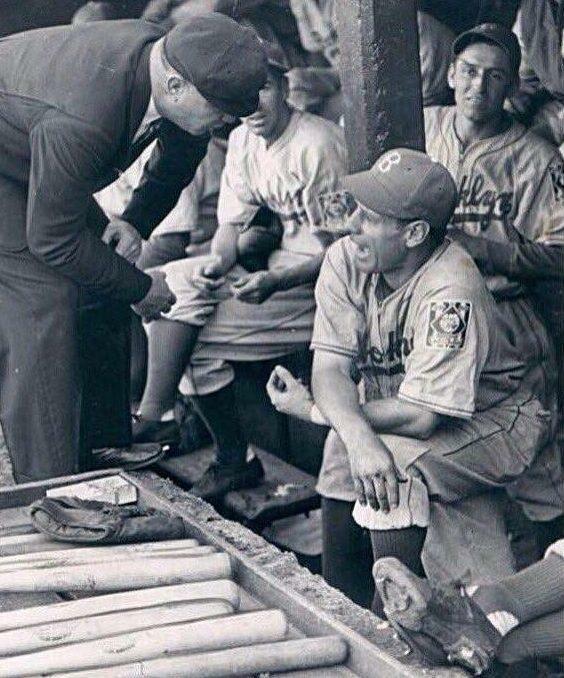 Leo Durocher played for four teams and managed three but will forever be linked to the Dodgers. With six years as a player in Brooklyn, and nine more as a manager, Durocher’s career is painted with Dodger blue. Leo Durocher played for four teams and managed three but will forever be linked to the Dodgers. With six years as a player in Brooklyn, and nine more as a manager, Durocher’s career is painted with Dodger blue. In the collection is his invitation to the 1986 Old Timers’ game at Dodger Stadium. 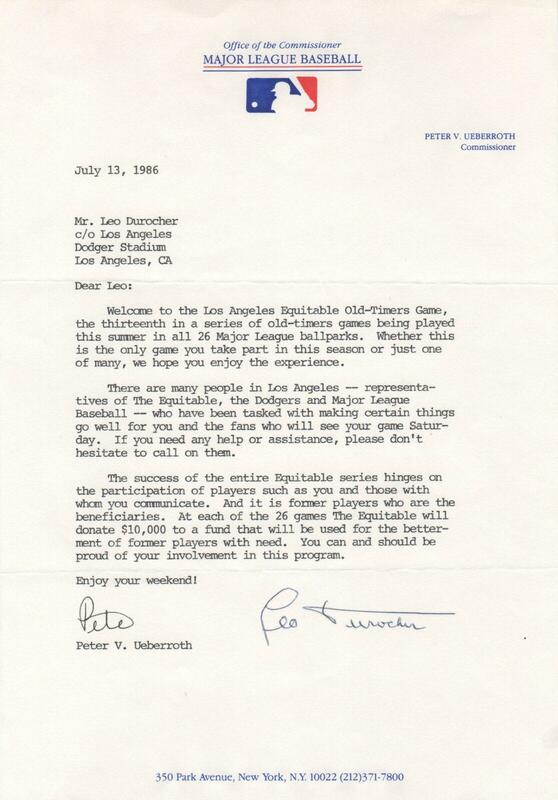 Durocher has signed the bottom along side a facsimile signature of commissioner Peter Uberroth. Apparently Major League Baseball did not have Durocher’s home address. The invitation was originally addressed to Durocher in care of the Dodgers via Dodger Stadium. 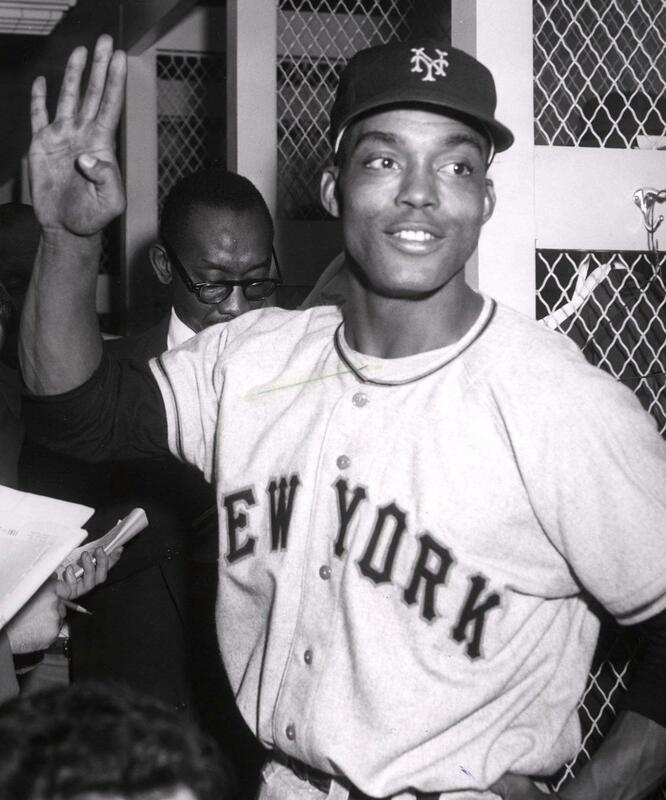 It is assumed the team forwarded the invitation to Durocher. 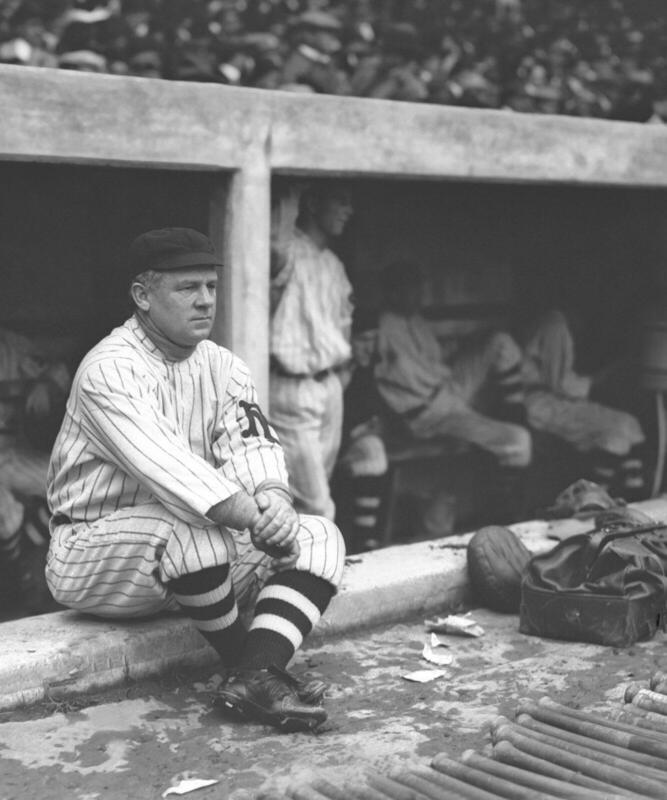 Though known for his managerial career, Leo Durocher played 17 seasons in the Major Leagues from 1925-1945, becoming a regular with the 1928 Yankees. 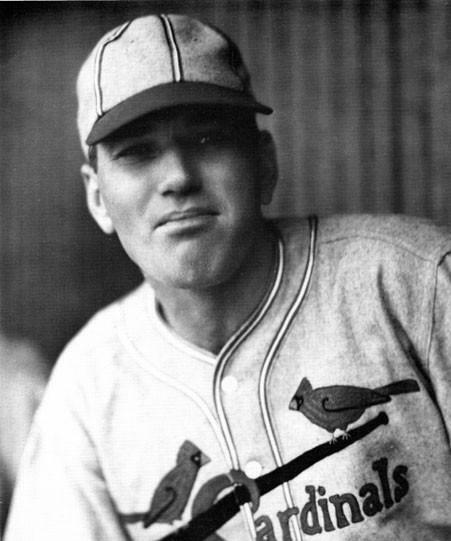 Primarily a shortstop, Durocher also played a little second base. 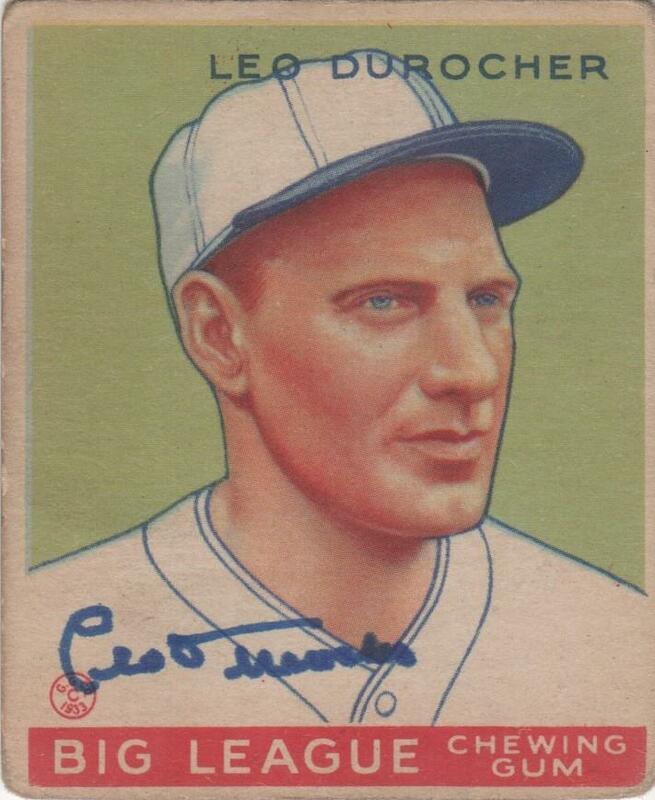 Shown here is Durocher’s original card from the 1933 Goudey set. The former infielder has signed the card just below his chin. 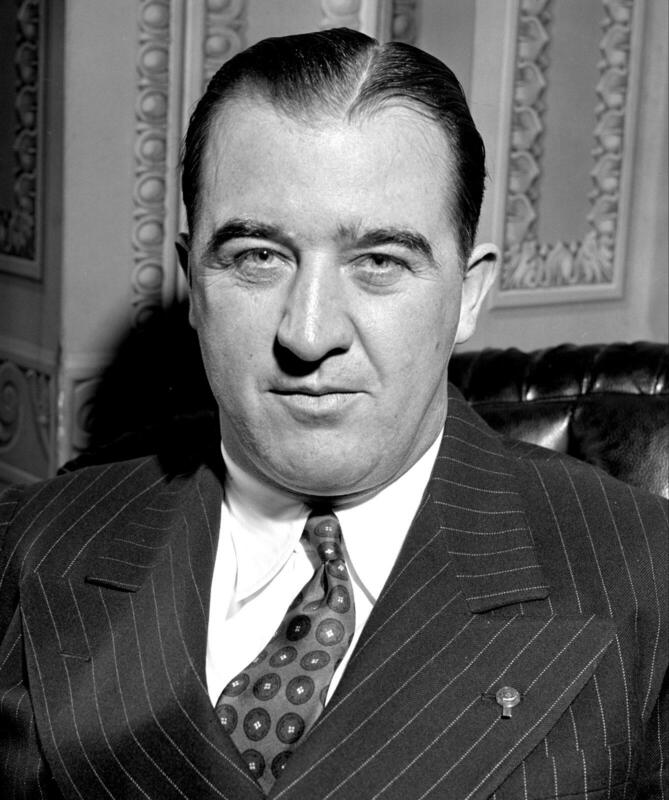 As commissioner of baseball, the signature of Happy Chandler is readily available to autograph collectors. 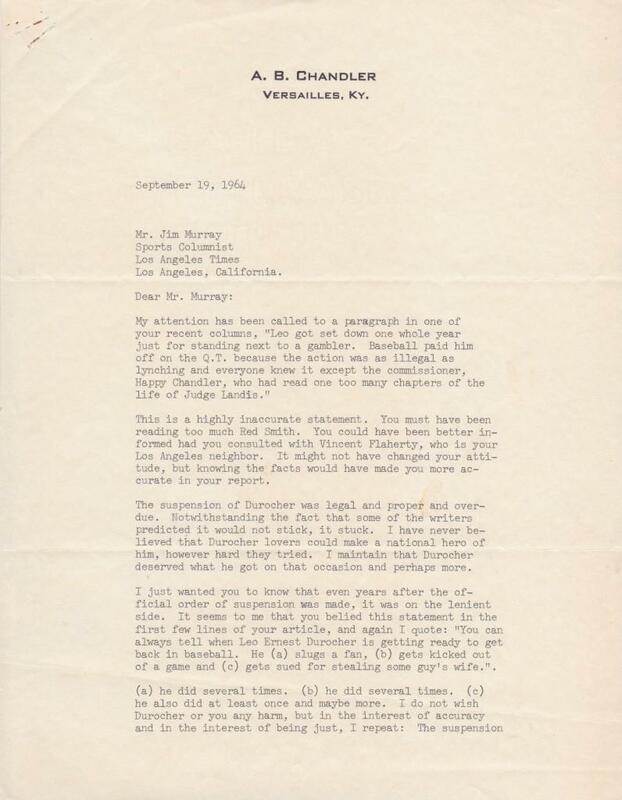 In the collection is a letter with remarkable content. 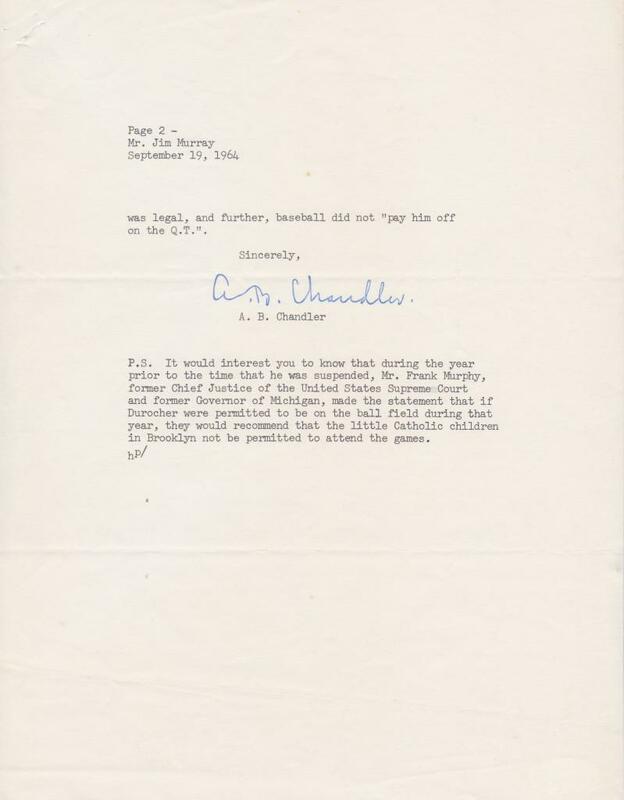 Here Chandler rails against Leo Durocher who he suspended for the 1947 season in a letter to Hall of Fame columnist Jim Murray of the Los Angeles Times. The rest of the content is equally harsh on Leo the lip. It’s a must-read for any fan of Durocher, Chandler, or baseball. 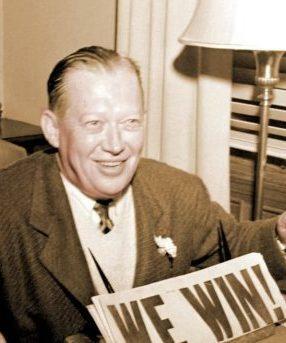 On page two of the letter, commissioner Happy Chandler signs his name boldly and ads a post script. In it he lets Murray know that former governor of Michigan and Supreme Court Justice Frank Murphy was against Durocher managing the Dodgers in 1947, the year of Jackie Robinson’s debut. Here is the envelope that housed the letter from Happy Chandler to Murray. Some friendships last a lifetime. In the 1970s four families took their young sons on a trip to the High Sierra in California. 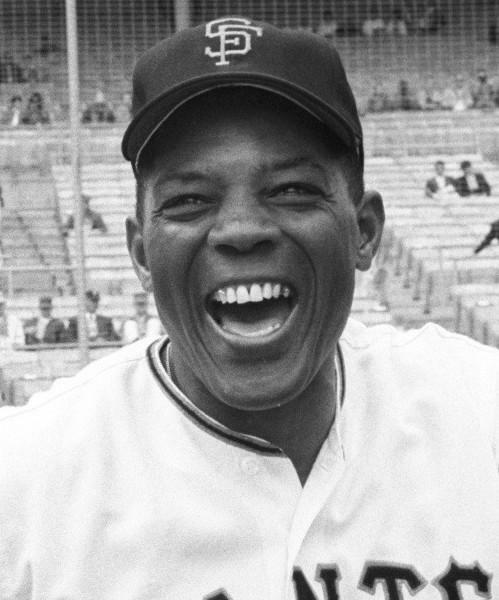 During that time one of the boys noticed another reading Leo Durocher’s book Nice Guys Finish Last. Though it was in the early portion of the friendship, both boys felt a bond that would last forever. 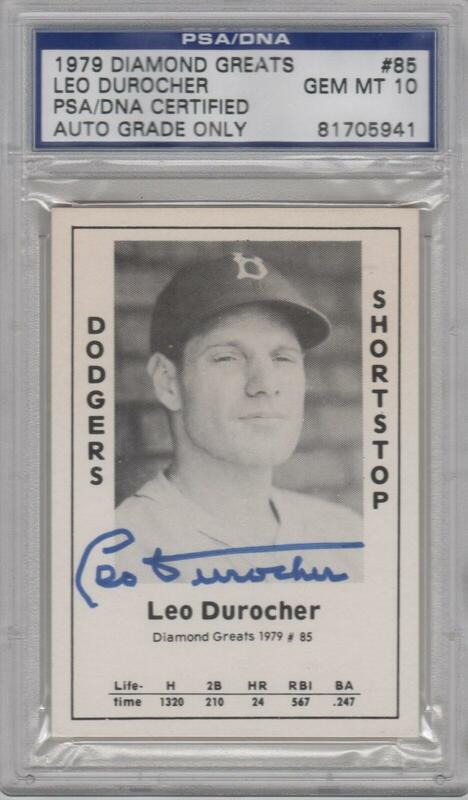 The Durocher fan ended up assembling what ESPN calls, “One of the most comprehensive Hall of Fame collections outside of Cooperstown.” When the collector turned 50 his friend Eric Young recalled his fascination with Leo the Lip and gave him the above autographed card as a token of their long lasting friendship. In the collection is that most thoughtful gift, a Diamond Greats card from 1979 adorned with the autograph of Leo Durocher certified by PSA/DNA with the signature rated as gem mint 10.